This past opportunity I traveled to Thunderhill Raceway in Northern California to participate in the NASA 25 Hours of Thunderhill. To the unfamiliar the 25 hours of Thunderhill is America’s longest endurance sports car race and its become an end of the year tradition for many racers. The race regularly attracts racers from across the country and beyond. 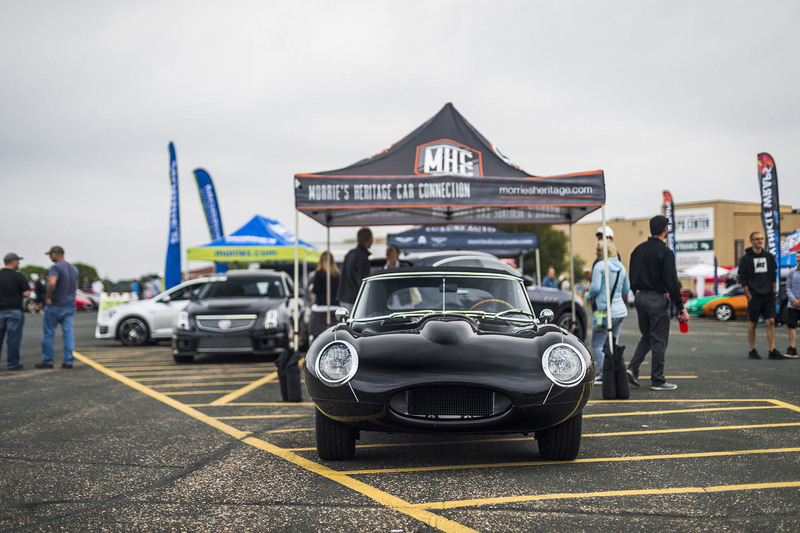 This years event had 55 vehicles entered ranging from Mazda Miata’s to factory supported cars like the Acura ILX to sports races like the Radical SR3. I was invited to race with Mazda who brought a trio of diesel powered Mazda6s that were purposely built just for this race. 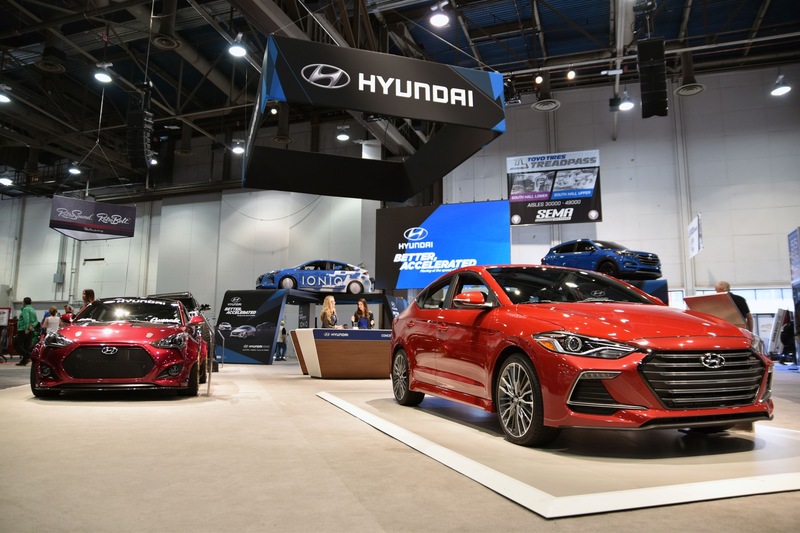 Since the Mazda6 is not available with a diesel in the United States, Mazda started with three Russian Spec cars and built them up from there. Two of the cars were driven by Mazda dealers with the third driven by a foursome from Mazda North America. The battle was titled “Mazda Dealers vs. The Factory Guys,” and provided some fun badgering between each group. The Mazda dealers, myself included were assigned to cars #55 and #56. The “Factory Guys” were in car #70. Last year the dealers won so this year the competition was extra fierce. In addition to the Mazda6 trio, Mazda also brought a Mazda Rx8. This RX8 was a several year veteran of the race and was back again to seek the elusive E2 class win. Having watched the weather for several days leading up to the event I knew that rain would join us for at least part of the weekend. So upon arriving at the track on Thursday afternoon I was not surprised to see a damp track. I was, however, a little anxious to drive on a track I’ve never been to in the pouring rain. Fortunately, I was comforted to see that every bathroom at the place had my name on it. If that’s not a welcome I don’t know what is. The plan was to hop in the car when the rain let up, however the plan was thwarted when the track was enveloped in heavy fog. There was so much fog that the track was shut down until it cleared. As I waited out the fog, the crew worked to replace the engine in Mazda6 #70. Prior to the event Mazda was able to extract more power from the engines, but with more power came more heat. During a test session the car overheated necessitating an engine swap. The fog eventually cleared and the track went green. Then the fog returned and they shut the track down again. Finally the fog cleared again and at this point my time to hop in the car had come. My session was a bit nerve racking, driving on a track that I’ve never been to in poor weather conditions, but I tiptoed through the session. Despite completing hundreds of YouTube laps at home prior to arrival, I couldn’t account for the elevation changes, off camber and blind turns the track had to offer. It would take a couple more session to get comfortable. Friday we returned for another day of testing and qualifying later in the night. The rain returned too, falling through most of the day and all night. I took to the track for a morning session and another afternoon session, slowly getting more acclimated with each lap. I was particularly impressed with how well the rain tires gripped even during heavy rain bursts. On the topic of tires, we had a large arsenal for the event. By my math it was somewhere north of 150 tires. Qualifying kicked off at 5:15 friday afternoon. In the dark. In the rain. Jason, the race veteran in our car #56, took on qualifying duty and put us in the 24th spot on the grid, in between the other two Diesel Mazdas on our team. In reality our position was a bit inflated because a number of teams failed to go out for qualifying. Still, we were impressed nonetheless and looked forward to a good start of the race on Saturday and hopefully nicer weather. The nice weather we were all wishing for finally arrived on race day Saturday morning. The sun was shining and the forecast predicted a rain free race. We started the morning with an all team meeting at the transporter. Team boss, Robert Davis, set tone for the next 25 Hours. We spent the rest of the morning preparing for the race and rolled the cars to the grid at 10:15 for a team picture in advance of the 10:40 cars to grid deadline. I took the obligatory team photo with my teammates in the #56 Mazda6. From left to right our driver foursome included Camden Jones, Daniel Tremblay, Ben Robertaccio (me) and Jason Meise. For all but Jason this was our first trip to Thunderhill. It was also our first time racing at night for all but Jason. Camden normally spends his time behind a spec Miata back home in Texas. Daniel, son of SpeedSource founder and driver Sylvain Tremblay, is the youngest of the group. At only 15 years of age he as several years of karting experience and about 8 races in a Spec Miata under his belt. He also has a ton of endurance racing knowledge. I’ve been racing the past 15 years, primarily in vintage events in a Porsche 914-6. In the past few years I’ve participated in half a dozen endurance events in a BMW 325i. Jason is the elder statesman in our group, as far as racing is concerned. Jason spent many years racing professionally in production cars across the country. Jason was our lead off driver in the race and delivered three hours of consistent and safe driving. The first several laps were riddled by faster traffic that missed the qualifying session moving up the ranks and passing our car. Also, from the beginning the race had many caution periods. It seemed like every 30 minutes the pace car would be out on the track. This would become a consistent theme throughout the race. I hopped into the car when Camden finished up a solid driving stint around 2:30 in the afternoon. Just half a lap into my stint I immediately knew something was wrong. The car was way down on power and was creating no turbo boost. Not a good situation for a diesel motor that relies heavily on the turbo for most of its power. I radio’d back to the pits informing them of the situation and at their recommendation I commenced a computer reset process while on the track. The process itself was pretty simple and would be completely innocuous in your driveway, however doing it while in the middle of a race added another dynamic. To complete the reset I had to cycle the master power switch on and off. Upon doing so the car would temporarily lose all power, power steering, power brakes and a host of other capabilities that come in handy when racing around track. Upon cycling the switch I would then press the start button while depressing the clutch, then if all went as planned I would continue on with all systems and increased power. The process itself was pretty simple in isolation and a bit of a handful when a car was breathing down your throat unaware of the activities in progress. The crew watches on track activities from the pit box. The good news is that the car regained full power after the reset process. The bad news is that it would lose all power again coming out of turn 6 or turn 11 every lap. I continued to limp around the track resetting the system when I could to regain power, but eventually I gave up personally experiencing the definition of insanity. Eventually I heard over the radio that our sister car #55 was experiencing the same issue. The stint included a few stops into the pits to try to re-flash the ECU and fix the problem, but the issue always persisted. For the last hour I decided simply to limp around the track and do what I could. Often times I felt dead in the water with a flurry of cars passing me in every place imaginable. As day turned into night I soldiered on. One driver gets out, another one gets in. And so it goes all day, all through the night and into the next afternoon. Finally, after two and a half hours I was called in to the pits for Daniel to take over driving duties. It was a welcome radio communication. I brought the car in to the pits and got out of the hot car. While the Mazda6 is incredibly aerodynamic, the way it cuts through the air allows very little air to come into the cabin via open windows. As such, the cabin temperature was certainly above 100 degrees. Needless to say I was a little warm. I wandered around he pit and paddock area for awhile. I was please to learn that the team had figured out the power delivery issue plaguing our car and our sister car. Soon both were back running like Swiss watches and I decided to rest for a bit in one of our trailers. For the race we had an RV that served as a bunkhouse for team member to rest in. When I woke up and returned to our trailer I heard the bad news. Apparently when I was resting the #55 car got in an accident with another vehicle on track. The car was damaged beyond repair and the race was done for the #55 team. I felt bad for the drivers who did not get an opportunity to race and all the crew who worked their butts off over the weekend replacing the engine and then later a transmission. It also was a reality check for me. Motor racing is a dangerous sport and you have to be aware of the risks. Fortunately in this instance both drivers made it out okay albeit bruised and battered. I spent the next few hours waiting for my second stint. The regularity of yellow flags meant that our drivers could stay in the car longer without getting fatigued. As a result my stint start time shifted from 11:30, to 12:30, to 1:30 and finally to 2:30. The longer I got the more tired I got so I decided to run to the track concession stand and get a heavy dose of caffeine. After finishing a big gulp I returned to the pits for a bit to find a weary pit crew trying to get as comfortable as they could amongst pules of wheels and tires. A full moon lit up the surrounding area and was joined by the white glow of our strategists’ computer monitors. Then a few minutes later and roughly 40 minutes before my scheduled 2:30 stint I heard the unthinkable. “Car #56 has rolled in turn #9.” After what seemed like an eternity our car rolled into the pits on the back of a flatbed truck, front fenders smashed and windshield cracked. Camden, our driver at the time, got pushed wide in a corner by an overtaking car. He had two options. Option 1 was to collide with the car and make a bad day for both of them. The second option was to drive off course and hope for the best. He went with the latter option and had it not rained for days prior to the race it probably would have been harmless. Unfortunately when he went of course his left front tire dug into the soft soil and threw it into a slow roll. Needless to say our day in car #56 was over. We spent the next hour or so trying to absorb all that had happened. Then most of us went to bed. I, on the other hand, was heavily caffeinated and wide awake so I hung around in the pits for a bit. It was certainly a nice night for racing. As I spent more time in the pits I got a chance to look more closely at some of the competition, many when they were called into the pits for driving infractions. I was intrigued by the e30 BMW below particularly because I race a similar car in endurance events with friends. This car was being driven by Nascar champion Kurt Busch. Our team RX8 came in for a fuel stop, one of many for the rotary powered Mazda. Where our Diesel 6s could go over 3.5 hours between stops, the RX8 had to stop more frequently. Despite the stop cadence, RX8 #34 was running in first place in the E2 class with a 30+ lap gap to the second place car. Finally I hit a wall and had to get some sleep. The bunkhouse RV was completely occupied and so were the transporter bunks. I checked the motor coach and that was full as well. Ultimately I resorted to the front seat of our Mazda CX9 press car. After a 2-hour nap I woke up at 6:30am surprisingly refreshed and greeted by the dawn of a beautiful morning. When I entered our transporter tent I saw the lone Mazda6, the factory driven #70, up on a lift. The crew was doing a tire swap and fixing a leaky fuel surge tank. The car eventually hit the track again and I ventured off to the pits to watch the sunrise. With four or five hours until the checkered flag I wandered around the paddock a bit to get a closer look at some of the competition. There were a number of blistering fast sports racers in the field. And at least a dozen BMWs. There were also quite a few Honda S2000s. After a stroll around the paddock area I had breakfast and hung out in the pit area until race end. With 40 minutes to go our remaining cars cycled in for their final pit stops. The RX8 came in first and the crew spent some time cleaning it up for a race ending photo op, made possible by team partner Mother’s and their fine line of vehicle car products. Then our remaining Diesel 6 #70 came in for its wipe down. The race wound down quickly from there and soon the checkered flag was waving. The RX8 finished 20th overall and 1st in class. The lone Mazda6 Diesel #70 finished 38th and 8th in the E1 class, first among the Mazda6 fleet. The Factory Guys beat the dealers, but it was not the type of victory they were looking for, with the #55 and #56 parked disabled in the parking lot. It always amazes me that once a race is finished, or really well before, teams already start prepping to go home. Within a couple hours of the races completion our trailers were all loaded up and ready to hit the open road. A long, weather and emotion filled weekend quickly came to an end. Despite only sleeping 2 hour in a 48 hour period I was remarkably alert. I could not have completed the weekend with out the great team of 50+ who helped pull of the race weekend. The team from Mazda and RDR racing truly have something unique going on, having come together from all corners of the US and different disciplines to complete the longest endurance race in America. Despite the ups and downs it was an incredible experience spent with a great group of people. 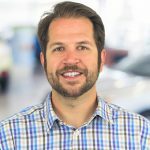 About the Author: Ben Robertaccio is the Marketing Director for Morrie’s Automotive Group. He’s a certifiable car nut and has been racing cars for 15 years. Thus far the 25 Hours of Thunderhill has been the highest level race he has participated in and his longest endurance race.